Islam, one of the world’s great monotheistic religions, has Saudi Arabia as its heartland. The followers of Islam, called Muslims, believe in God – in Arabic, Allah – and that Muhammad is His Prophet. Today, the worldwide community of Muslims, which embraces the people of many races and cultures, numbers well over one billion. 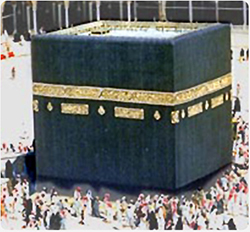 Historically, Saudi Arabia has occupied a special place in the Islamic world, for it is towards Makkah and Islam’s most sacred shrine, the Ka’abah, located in the Holy Mosque there, that Muslims throughout the world turn devoutly in prayer five times a day. An appreciation of Islamic history and culture is therefore essential for a genuine understanding of the Kingdom of Saudi Arabia, its Islamic heritage and its leading role in the Arab and Muslim worlds.